Do you need a child custody lawyer? Whether you are a father, mother, or other, get a free consultation with Dallas child custody lawyer Roland Barbosa. He is experienced, affordable, aggressive, informative, and offers personal service. Who decides custody of our children? The parties will be forced to let the court make the final custody determination. The Court does not know the child or parents, and thus this is usually the last resort. Therefore, it is always better to work with an attorney who has the experience to negotiate a fair and equitable agreement that works for all parties involved. At The Barbosa Law Firm, P.C., we have attorneys with the experience and knowledge to help you with any custody case. 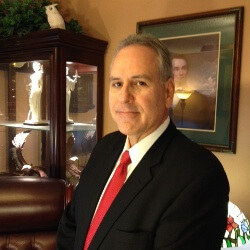 Founding family law attorney, Roland Barbosa, has over 25 years of legal experience in the area of family law. He represents men and woman in family law and divorce matters, including child custody disputes and visitation issues. 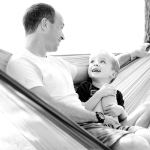 In the Texas Family Code, child custody is known as conservatorship. The law in Texas states that custody is granted to (a) certain individual(s) based on the best interest of the child. To obtain custody during and after a divorce, you will need to prove to the court that your child’s best interests involve you having custody of the child. Joint Managing Conservatorship (JMC) is what is more commonly ordered by Texas Courts. Joint Managing Conservatorship is ordered when the court decides that both parents need to be actively involved in the child’s life. A joint parenting plan will be drafted and entered to establish which parent the child spends time with at what times, such as one parent during the work week and the other parent during alternating weekends. The court can also order sole managing conservatorship to one parent, but the other parent can be granted possessory conservatorship allowing them visitation rights with their child as explained below. What rights will a possessory conservator have? Possessory Conservators generally only enjoy the right to “visitation” with the child under a defined schedule, as well as the right to inherit and bequeath assets through the child. A court must appoint a parent as either a managing or possessory conservator unless it finds that allowing possession and access would endanger the physical or emotional welfare of the child and that it is not in the child’s best interest to grant such possession or access. Consequently, in rare cases of abuse or endangerment, a court does restrict or entirely eliminate a parent’s right to possession or access to a child. What rights will a managing conservator have? All parents, whether they are managing or possessory conservators, hold an obligation to support a child, to provide food, shelter, clothing, education, and medical and dental care. All parents also hold a duty to care for, control, and protect a child, although the exercise of these duties will, of course, depend upon how often the child is in their possession and control. All parents owe each other a duty to keep the other parent informed of significant information concerning the health, education, and welfare of their children. Finally, all parents owe a duty to reasonably discipline and control their children subject to local laws. Contact us to speak with an experienced, low-cost, and aggressive child custody lawyer in Dallas who will help you, whether you are a mother or a father of a child. Your 1st consultation is free! What should you know about Child Support in Texas?